Quality Homes and Land For Sale in the Manuel Antonio area. Costa Rica Real Estate Investment. The Manuel Antonio – Dominical corridor. Jaco, Manuel Antonio, Dominical… Names that any tourist who has been to Costa Rica will recognize, and places that they will have probably visited. For those who have been to all three, each conjures different images, and different flavors. Welcome to Manuel Antonio National Park in Costa Rica, where you will find long stretches of sandy beaches fringed by rocky shores and steep cliffs. Over the years, Manuel Antonio has developed a reputation where tourists could handfeed the local monkeys. That practice has now ended with Costa Rica instituting a new regulation that prohibits food in the park. Looking for your own personal getaway or perhaps an income-producing property? If so, this luxury villa with spectacular ocean views is the ideal choice. This is your opportunity to operate your own hotel in beautiful Costa Rica. One of the most intimate hotels in Manuel Antonio, this property is now available for the first time in years. 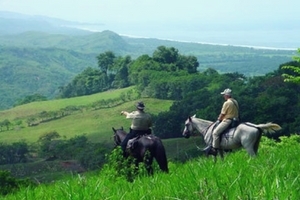 Costa Rica has become well known for its spectacular beauty, diverse ecosystem, and unique tourist attractions. Among the biggest tourist attractions on the Pacific side of Costa Rica is the lovely Manuel Antonio National Park, located just outside the town of Quepos. Home to one of the most diverse ecosystems in the world, Costa Rica has rapidly become popular for ecotourism. While many visitors to this slice of paradise come for the beaches, others make their way to Costa Rica for the chance to catch sight of an array of unique wildlife. More than one million people have made their way to Manuel Antonio National Park over the course of the last ten years. Primarily drawn by the prospect of catching sight of two-toed sloths and capuchin monkeys in their native rain forest environment, visitors have latched onto Costa Rica’s ecotourism with a passion. Manuel Antonio National Park, located on the Pacific Coast of Costa Rica, has quickly become one of the most popular parks in the country. Boasting four beaches, a host of wildlife, and a dozen islands and islets, Manuel Antonio Park is the epitome of Costa Rican natural beauty.